Home / News / High-cost credit: what next? 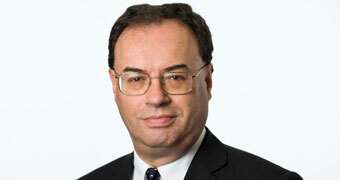 Speech by Andrew Bailey, Chief Executive at the FCA, delivered at a New City Agenda event, Portcullis House, Westminster, London. Taking on responsibility for regulating consumer credit in 2014 has been one of the largest tasks the FCA has undertaken. In 2017, we published the findings of a major survey on the financial lives of UK adults. The FCA has already been active to seek to reform and to tackle harm that has built up. It is a great pleasure to have the opportunity to speak this morning. I want to start by thanking the organisers because the subject matter of high-cost credit is not only of great importance to us at the FCA, but also to the country as a whole. I will try to set out why we think it is an important subject, and in doing so set out the evidence as we see it, and use that to provide a roadmap for how we are approaching the material that we will issue at the end of this month, setting out steps that can be taken to tackle the problems we identify. Taking on the responsibility for regulating consumer credit in 2014 has been one of the largest tasks the FCA has undertaken. It has added around 30,000 firms to our register, of which the high-cost sector is only a part. And we recognise that we have more to do to get a sector that supports consumers appropriately. The order I have just given is by scale of activity – credit cards are largest, logbook loans are least used. A sub-set of consumer credit activities are distinctly high cost. Our current focus is on overdrafts, rent-to-own, home-collected credit and catalogue credit because of the particular risks to consumers that we have found in these areas. Bear in mind here that we have also decided to maintain the package of measures that make up the payday loan cap and conducted a market study on credit cards. And we have reviewed all consumer credit firms as part of our authorisation and supervision work, driving up standards across the industry and focusing particular scrutiny on firms that pose more risks to consumers, including those in high-cost sectors. Our current focus is on overdrafts, rent-to-own, home-collected credit and catalogue credit because of the particular risks to consumers that we have found in these areas. Last year, we published the findings of a major survey on the financial lives of UK adults. The headlines are as follows: 3.1 million UK adults (6%) have one or more high-cost loans or had one in the previous twelve months. Additionally 25% of all UK adults have been overdrawn in the last twelve months (that’s 17.9 million adults), of which 3.1 million used an unauthorised overdraft facility. In our survey, people showing characteristics of potential vulnerability were twice as likely to have used high-cost credit as other UK adults. These circumstances include low financial resilience, and as well as financial circumstances, life events such as job loss, bereavement, relationship breakdown, serious accident, and health related issues. In terms of age groups, potential vulnerability is higher among the younger and the older age groups. Younger single parents are three times as likely to be using high-cost credit as the UK average. People who are more likely to use high-cost credit are: those between 25 to 34 and 35 to 44 age groups or with financially dependent children, single parents, and particularly those aged 18 to 34), the unemployed, those renting their home or people with a physical or mental health condition or illness that affects their day-to-day activities, and people with no savings or investments. Looking at unsecured debt levels, the average level for all UK adults is £3,320 rising to £4,960 when Student Loan Company debt is included. Bear in mind that 62% of UK adults have no debt, which obviously affects the distribution around the average. If we look at 18 to 24 year olds, they owe £1,460 on average, rising to £8,750 with Student Loan Company loans. For those with debt, including SLC loans, the average outstanding is £17,440. According to our survey, this group has the lowest level of financial resilience, is least confident in managing money and least knowledgeable about financial matters. At first glance, this can come across as something of a paradox as this group is almost certainly the most technology savvy. But tech and financial awareness do not necessarily go together. Adults aged 25 to 34, have the highest level of over-indebtedness of any age group, with below average financial resilience, and the highest ownership of high-cost loans along with the next group up (35 to 44 years old). And 37% of all UK adults with a payday loan are in this age group. They are also the most likely group to have catalogue credit balances. Noteworthy too is that trust in the financial services industry is low in this age group, below that of the population as a whole. More people in this group disagree that financial firms are honest and transparent than any other age group (44% versus 34% of all UK adults). Touching briefly on older groups, 35 to 44 year olds are the most likely of any age group to hold an unsecured consumer credit product (86% versus 78% of all UK adults). They are also the most likely to have been overdrawn in the last year, joint and most likely to have a high-cost loan, together with the 25 to 34 age group, and most likely to be revolving users of credit on a credit card. But their assessed financial resilience is higher: among the 45 to 54 year old group, 1.5 million are over-indebted (18%, versus 21% of 35 to 44 year olds). The tendency to have unsecured debt then drops off sharply among 55 to 64 year olds. The Financial Lives survey has given us an important set of insights, which we have married up with an enormous amount of data in our review of high-cost credit. We’ve looked at tens of millions of credit files, conducted randomised trials, surveyed thousands of people and run more than a hundred in-depth interviews and focus groups. I want now to give some salient facts on the high-cost credit sectors that are of most current interest to us, namely overdrafts, rent-to-own, home-collected credit and catalogue credit. We’ve looked at tens of millions of credit files, conducted randomised trials, surveyed thousands of people and run more than a hundred in-depth interviews and focus groups. Let me start with overdrafts. Data received from personal current account providers show that annual revenues from unarranged overdrafts, excluding unpaid item fees, were around 200% of the average amount outstanding in 2016, with a range of 100 to 440% across the firms we looked at. For arranged overdrafts, it is around 25%, with a range around 14 to 38% across the firms. We are looking at whether this difference can be justified. Unarranged overdraft fees and charges also appear to be highly concentrated: while around 20% of personal current accounts received charges for using an unarranged overdraft in 2016, over half of the charges were concentrated on just 2% of accounts. Moving on to rent-to-own, during 2016, 200,000 people took out a rent-to-own product and 400,000 had outstanding rent-to-own debt at the end of 2016. For those who took out rent-to-own products in 2015 and 2016, the debt these consumers held on these products was over a third of the overall debt they held, and was significantly larger than debts they held on any other types of product. In 2016, our analysis suggests that rent-to-own customers had a median annual income of £16,100. Taking into account all of the debt held by these customers and recorded on credit reference files, the median amount of outstanding debt more than doubled from £2,000 in November 2014 to £4,300 in November 2016. Our analysis indicates that home-collected credit customers have similar characteristics to rent-to-own customers, with a median annual income in 2016 of £15,500. The median amount of their total outstanding debt more than doubled from £1,200 in November 2014 to £2,800 in November 2016, with a quarter of this in home-collected credit. The home-collected credit market is larger than the rent-to-own market. In 2016, 700,000 people took out a home-collected credit loan and 1.6 million people had outstanding debt on these products at the end of 2016, with a value of £1.1bn. Home-collected credit customers also appear to hold debt in home-collected credit products for a long time – many of the consumers who borrowed using home-collected credit at any point between 2012 and 2016 were still borrowing at the end of 2016. Turning to catalogue credit, our analysis suggests that catalogue customers have slightly higher median annual income than consumers of home-collected credit and rent-to-own products: £17,700 in 2016. The median amount of outstanding debt increased substantially from £300 in November 2014 to £1300 in November 2016, and debt held on catalogue credit is a smaller share of debt than credit card debts, unsecured personal loans and motor finance. Catalogue credit borrowers differ from rent-to-own and home-collected credit. Consumers using catalogue credit are drawn from a wider socio-economic group and have on average higher credit scores than other high-cost credit products. However, we still have concerns about catalogue credit products regarding the high level of arrears. We believe that there are some important basic principles which can help us set priorities. I would highlight four such principles. First, the cost of credit matters, and we did establish a measure for payday loans which linked the cost in interest and charges to the amount borrowed. That measure was of course based on the particular features of the payday loan market and we need to approach its relevance to other markets with care. This approach applies most easily to fixed-term loans. Second, for revolving credit, our focus has tended to be on whether customers are frequently in long-term persistent debt. And thirdly, we will consider the complexity of the product and sales practices, how difficult they are to understand and whether there are notable behavioural biases. Lastly, the proper assessment of affordability by lenders is important. When thinking about the high-cost credit market, we also adopt two other broad principles to assess whether our regulation meets the public interest. First, credit can provide a socially valuable function for people. That said, as the payday cap has demonstrated, there are consumers for whom their economic welfare improves if they do not have access to credit. Second, and flowing from this, we have to take great care to consider what a market working well could look like for the majority of users and what the alternatives to high-cost credit could be, rather than simply clamping down on the immediate harm presenting itself without regard to intended consequences. In saying this, I could sound as if I am too decisively rejecting the advice from Polonius in Hamlet to his son: ‘Neither a borrower nor a lender be: for loan oft loses both itself and friend’. To be accurate, Polonius was not so much advocating an end to credit as ‘don’t borrow from friends if you want them to stay that way’. Credit is not the right option for all consumers. There is a group of consumers who are on such low or uncertain incomes or whose personal circumstances mean that any lending is likely to be inappropriate or unaffordable. Parts of the social welfare system are designed to provide assistance to them. Our view is that the provision of credit can nevertheless have a socially valuable function. High-cost credit users typically have low credit scores and many do not have savings but may need credit to make ends meet and avoid wider financial difficulties, for example, default on household bills or priority debts. There is another group of consumers who are on low incomes and may be financially vulnerable but are nonetheless able to sustain low repayments for small sums. However, the personal circumstances of these consumers can mean they are especially susceptible to unexpected changes to their income or expenditure demands, for example dealing with changes to their living arrangements at short notice. Reflecting risk of default, borrowing for these consumers is particularly costly, potentially further decreasing their ability to meet their wider financial obligations and increasing risk of harm from the consequences of default. This is particularly the case where they need to borrow to obtain essential household goods, such as a fridge or washing machine. Our view is that the provision of credit can nevertheless have a socially valuable function. High-cost credit users typically have low credit scores and many do not have savings but may need credit to make ends meet and avoid wider financial difficulties, for example, default on household bills or priority debts. They may also have very limited options for obtaining essential goods or for managing other larger purchases or bills. Consumers can benefit from using credit where repayments are sustainable and appropriate forbearance is shown if they have temporary repayment problems. For many, but not all, users of high-cost credit, access to borrowing is an important feature which can allow sensible smoothing of income flows and the purchase of necessary durable goods. I do not take the view that credit should not be available to this part of the population. There is a spectrum of credit products and pricing across the consumer credit sector aimed at different consumer circumstances and needs. High prices for lending to subprime customers are driven, to an extent, by the underlying economics of serving these customers. Making small loans over relatively short periods is inherently higher cost. It can also be costly to assess the risk of lending to customers with thin credit files. Let me therefore draw an important conclusion from this part of the assessment of high-cost credit. For many, but not all, users of high-cost credit, access to borrowing is an important feature which can allow sensible smoothing of income flows and the purchase of necessary durable goods. I do not take the view that credit should not be available to this part of the population. Translating this into the responsibilities of the FCA, we have a responsibility to ensure there is a framework of rules that firms comply with which reduces the risk of consumer harm but allows the provision of credit where it is appropriate and affordable. What are the alternatives and what should be done? The payday loan cap has meant that the cost in fees and charges of a typical loan has moved from over £100 to around £60, which we estimate saves borrowers around £150m per year. Many people benefit from having access to credit on affordable terms which nonetheless recognise the risk characteristics of the individual. The FCA has already been active to seek to reform and to tackle harm that has built up. The payday loan cap has meant that the cost in fees and charges of a typical loan has moved from over £100 to around £60, which we estimate saves borrowers around £150m per year. Across all consumer credit sectors around £900m of redress for consumers, in the form of write downs and payments, has been secured for around 1.6 million consumers. Default rates on payday loans have fallen by about one third and firms’ revenue from late payments interest and charges is about half of what it was. We think the payday cap has been effective and is set at the right level. Debt charities have also validated to us, and I am grateful to the charities for arranging my visits to their centres around the country, that the cap has alleviated debt problems. It makes no sense at all surely to create a well-developed social housing system, but leave tenants to provide essential furnishings and fittings at a cost which can be three or four times the ordinary retail price of these goods. This point has been illustrated very clearly to me on visits around the country. I am aware that some stakeholders have called for us to introduce price capping in other areas of the high-cost credit world, and overdrafts. We are examining a range of potential approaches to address the harm we see to consumers using these products, and I expect to set out our views in the next month. As I have said, these will be tailored to the particular harms we have found in different markets – we will be consistent in applying the principles I have set out, but that does not imply that our solutions for different markets will be the same. We are also exploring the development and scale of provision of alternatives to high-cost credit. The key issues here are: challenges in accessing sustainable capital for alternative credit providers; building a critical mass of support for such approaches, which remain today too much on the fringes; encouraging an appropriate risk appetite and cost recovery for lenders; and helping social landlords assist tenants to find alternative sources of credit to acquire essential goods; among other points. If I could finish with one practical and important example. It makes no sense at all surely to create a well-developed social housing system, but leave tenants to provide essential furnishings and fittings at a cost which can be three or four times the ordinary retail price of these goods. This point has been illustrated very clearly to me on visits around the country. At the FCA we can do a lot to help consistent with our statutory objectives, but we cannot on our own arrange new sources of lending. We are willing however to do everything in our power to help here.